We thank T.A.S.C. 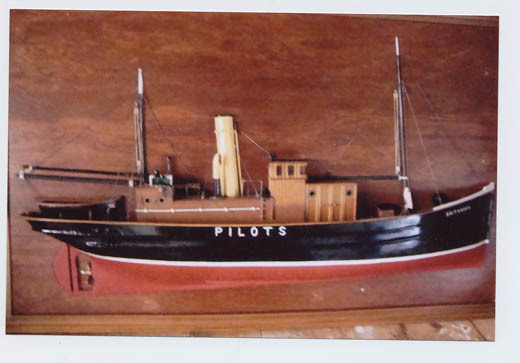 Member Tom Purvis (River Tyne Pilot Retired) for the following pictures and information. Built in 1907 by JP Rennoldson of South Shields. Destroyed by enemy mine on the 31st December 1916 with the loss of all hands – 19 Pilots and Crew. 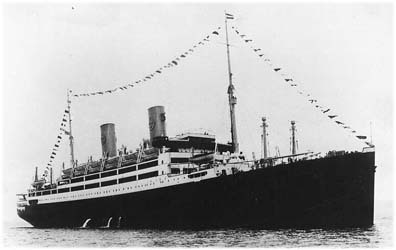 The following article was written by Stan Fernando, a Junior Engineer from Sri Lanka (Ceylon as known then), who was serving on S.S. Talamba at the time when disaster stuck. The article was first published in ‘The Sunday Times’ news paper (Sri Lanka) 24th February 1980 issue and again sometime later in the Institute of Marine Engineers’- Sri Lanka Branch bulletin. This is his recollection of events on that fateful night. Around October 1938, my Father, (also Thomas Hall Purvis) one of the youngest First Class pilots at that time, boarded the ‘Kungsholm‘, one of Swedish America lines largest passenger ships. Being full of trepidation of the task in front of him, he put the vessel to anchor and a few hours later entered on the early morning tide. It was a dark October morning, and whilst concentrating very hard and aware of this particularly high profile job, he noticed out of the corner of his eye an extremely attractive young blonde girl, obviously Swedish! In a fleeting moment he did question who she was as passengers weren’t allowed on the bridge, he perhaps assumed she was the Captain’s daughter. After making fast and being able to relax he had a chat to the ‘blonde’, found her delightful and very easy to talk to. 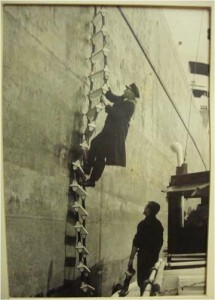 I’ve attached a treasured photo of my Father boarding a British tanker. At the time he was almost 70 years old (they were forced to retire in those days at 70, this broke his heart) In fact within 6months of retirement he had a major heart attack and died when only 75! One Christmas I was on-call pilot till 9am Christmas day. Checking with the office before I turned-in. was told “all quiet- nothing doing” So off to bed and looking forward to a good night’s sleep and a work-free Christmas day. The master was in no fit state to do anything and I took the controls and got the vessel into the river and alongside the quay moved here. Not a lot of conversation and all I could do was get my bill signed and make my way ashore. Yes you guessed we were starboard side alongside and I forgot about the blood!! Eventually, at home, we sat down to Christmas dinner and deciding that this year we would have roast beef I made sure it was well-done.!! Anything Can Happen At Sea! In February 1966, I was 4th mate on the Mobil Transporter (yes Mobil Oil carried 4 mates??). She was a 35,000 ton crude oil carrier and we were to discharge at a SPM (that’s single point mooring) off Fiumicino, the port for Rome. The SPM is a dolphin construction with a roller fairlead to which you make fast with 3 bites of rope from the foc’sle head. Critically this meant 2 of the bites were on the same set of bollards. A floating pipeline ran from the SPM and attached as normal to the manifold. We had just completed discharge, totally empty with the forefoot clear of the water, when we felt the full force of the mistral blowing at force 8-10. So rapid was the blow we never had time to ballast and the order was given to let go immediately. In the panic the 2nd mate on the foc’sle let go the single rope on its own bollard which meant letting go the second rope which put all the weight onto one rope. These were ployprop ropes which gave no warning of parting unlike a sisal type rope which starts to shred before parting. You guessed the rope parted and completely severed the Serang’s leg above the knee. However although you get no warning with a polyprop as they expand they generate enormous heat and a top class hospital doctor could not have done a better job, virtually no blood or tearing of the flesh. Neither did the master of the Steamship Gloxinia. Until I served in the old Gloxinia I was strongly opposed to any opinions that supported beliefs in ghosts and supernatural apparitions, spirits, and the restless dead. When I left that ship, I had an open mind on the subject and now will listen with some sympathy to narratives of experience with unearthly forces. Sailors as a group tend toward easy acceptance of superstition and belief in the hyperphysical. It has been written that ignorant people in general tend to these beliefs naturally, the supposition being that the educated mind can provide reason and explanation for most occurrences within the bounds of live agency. 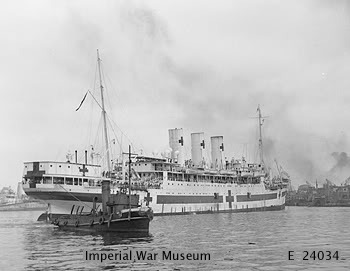 IN SEPTEMBER, 1947, a British Military Court war crimes trial was held in Hong Kong in to the execution of crew members and passengers of the British cargo ship Behar, 7,840grt, owned by the Hain Steamship Co., a subsidiary of the P. & 0.Steam Navigation Co. 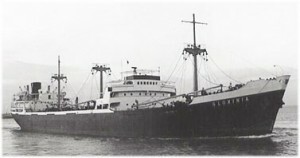 The Behar had been sunk on Mar. 9, 1944, by the Japanese heavy cruiser Tone, under the command of Captain Mayazumi. The cruiser was part of the Japanese 16th Squadron of the South West Area Fleet under the command of Vice-Admiral Sakonju, who flew his flag in the cruiser Aoba. At the trial, Vice-Admiral Sakonju was charged with giving the order to execute the approximately 65 prisoners, and Captain Mayazumi was charged with carrying out that order. However, the owners stated to the court the official figure was 72. The Japanese South West Area Fleet headquarters was located at Penang and at a conference held in February, 1944, it was decided that Allied shipping was to be attacked in the Indian Ocean with a view to disrupting the Allied supply routes. Tucked away in the North East corner of Cardigan Bay lies the small harbour of Porthmadog (Portmadoc), which was one of three major Slate exporting ports in North Wales during the 19th century. Slate from the mines and quarries in the town of Blaenau Ffestiniog had originally been brought down to the river estuaries nearby on pack horses, however as the demand for good quality roofing slate grew in the early 1800’s, this method of transportation became inadequate. 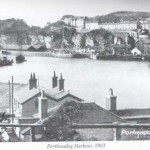 In 1812 a causeway was built over the River Glaslyn estuary, and resulted in the hinterlands being reclaimed for farming, and new settlements established, the major one being the town of Porthmadog, and a harbour developed. In 1836 a narrow gauge railway was opened connecting the slate town of Blaenau Ffestiniog and Portmadoc, and hence a means of transportation for the then ever expanding slate industry. 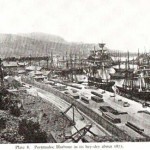 Slate now reached the developing port of Portmadoc, where small sailing ships took slate around the ports of Great Britain and nearby Europe, Africa , North and South America. Assistance getting out and into the harbour was required, as there are hazardous sand banks and rock reefs running out in a north east /south west angle across Cardigan Bay. 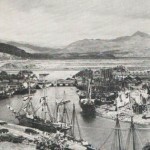 The expansion of the slate industry resulted in the demand for towing assistance for the small sailing ships into and out of Porthmadog; and a small tug company was founded. 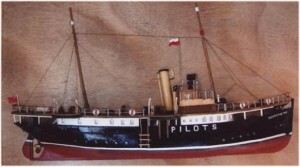 The Porthmadog Steam Tug Co. Ltd. 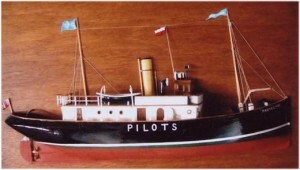 The first steam tug was built 1860 at North Shields by Hepple & Landells. ON 28619. 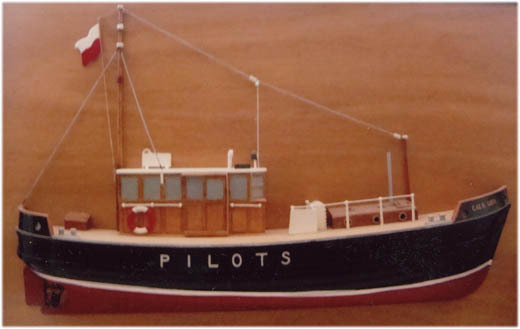 Wood hull paddle tug “Wave of Life” (1). One 35hp side lever steam engine. Her first owners where in Liverpool. However she was sold to the Porthmadog Steam Tug Co.Ltd in October 1862 and registered at Caernafron. This tug held a Board of Trade summer passenger Certificates to ply between Aberystwyth and Bardsey Island from 1863 to 1868. She was sold again in 1872, to William Hepple of Newcastle upon Tyne, and re-registered at the Port of Newcastle 7.8.1872. 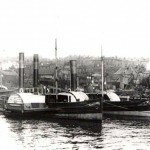 The second steam tug was built 1864 at Willington Quay for T.A Dry & M.P. Martin of Willington Quay, and W.G Dry of Gateshead and named “James Conley”. O.N. 49743. Wood hull paddle tug. One 30nhp side lever engine (cylinder 30″ diameter) 72 gross tons. Dimensions 81.8 x 17.1 x 9.1 ft. In 1866 she was sold to TSavin of Oswestry,(a railway construction contractor) and registered at the Port of Aberystwyth in 1866. 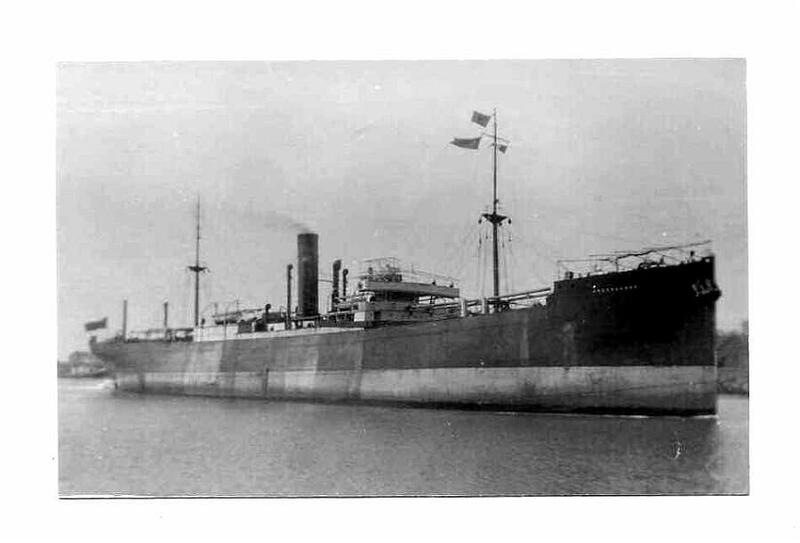 In 1871 she was resold to the Porthmadog Steam Tug Co.Ltd, and re-registered at the Port of Caernarfon, and continued to work for this company until 1884, when she was re-sold to S.Young of North Shields and re-registered at the Port of North Shields. She was sold a further two times, and was broken up in 1890. 1900, and transferred to Redhead & Dry Tugs in 1929. Purchased by R.LCook Towage Co.Ltd of Sunderland in 1938 re – reg. Sunderland, and transferred to France, Fenwick Tyne & Wear Co.Ltd November 1947, and finally broken up after a varied career in 1950. 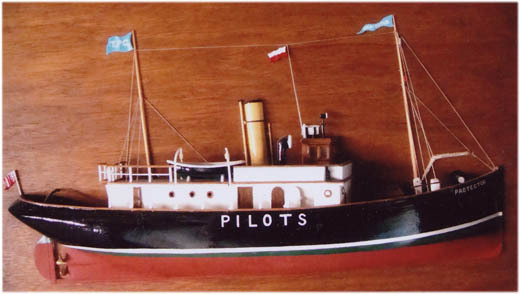 The fourth and last steam tug was the “Wave of Life 2” built by Hepple, Newcastle. Iron hull 102g/tons. Two side lever engines 50hp 26.5″ x 45″ stroke. Dimensions 91.2 x 17.9 x 9.2 ft. in 1872. for the Porthmadog Steam Tug Co. registered at the Port of Caernarfon. She continued to work until 1914, when the slate exporting trade had slumped, and was never to recover. She was sold to a Liverpool firm, and her hull was converted into a canal barge. The remains of which were broken up in 1935. These tugs evidently were delivered by sailing from the Tyne north to Inverness, through the Caledonian Canal to Fort William, then south to their Welsh destination, and likewise a reverse sailing if they returned to the Tyne. This would make fascinating reading if any logs of their voyages had been made. Hope you enjoy these brief notes on the story of four small Tyne built tugs owned by the Portmadoc Steam Tug Co. between 1862 to 1914. The development of the standard gauge railways in the North Wales area at the same time resulted in the demise of the need to transport slate via the sea… also at the end of the 1890s the demand for slate had declined. 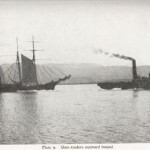 Finally the development of the steam ship resulted in there being no need for tug assistance in and out of the harbour. Philip Work. Treasurer Tyne Area Shipping Club. He died in 1943 when I was less than three years old, so my recollections of this kindly old seafaring gentleman with silver hair and a silver beard are limited to the outings he took me peddling my three wheeler to the park in Mansfield Woodhouse where we lived. He used to sit and talk with the other old gentlemen on the veranda of the green painted wooden bowls and tennis pavilion whilst I cycled round the paths in fear of the grumpy old “Parkie” who accused me of digging up his flower beds for worms. I seem to remember a warm dark coloured winter coat he wore and a black homburg hat, which gave him great poise and dignity, and for some strange reason an air of tranquillity.